Union Minister and NCP supremo Sharad Pawar on Monday apologized for his nephew and Deputy CM of Maharashtra, Ajit Pawar’s ‘urine’ remarks that ridiculed the hunger-strike by a drought-affected farmer of the state.In a rally he said where will he give water from when there is no water in the dam . Should he urinate in the dam ? And as expected, the opposition has demanded his resignation !! Did he really say that now?! Such an immoral git! horrible state of affairs !!! Even Ajit has apologized . So I think its enough . Coming down from that level and apologizing is not a joke. It requires guts to come in front of public and apologise , so what if he is asking to drink pee from dams . 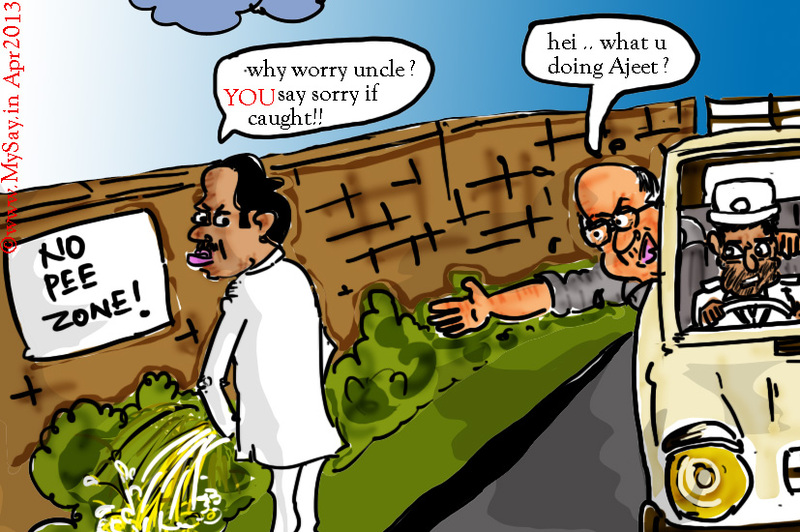 He is the great male heir of honest and uncorrupt minister Sharad Pawar . Everything is allowed for him .